Your Private or Business Event! Call (323) 669-0333 or use the form below to inquire about booking your special occasion with Mésmera. 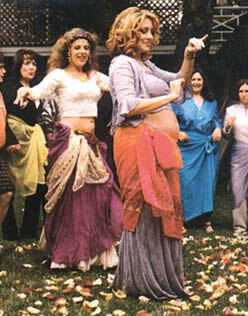 Let Mésmera help you be a Bellydancer at your event, and include your guests too! Unique celebrations for women's special events. Class with basic moves and exotic music featuring live drumming or recorded music to set the mood. Coin belts, veils, rose petals and costume accessories available for use or purchase as souvenirs! The classic beauty and power of an ancient and artful style. Truly regal presentation moves dramatically from graceful serenity to fiery passion. NOTE: Additional dancers may be included. From the exotic rhythms of the Middle East to the Sacred Alchemy of Snakedance, these dancers truly embody the creative spirit. Directed by Mésmera, they combine an artful variety of ethnic styles from Cabaret Bellydance to Tribal Ritual to bring an exhilarating expression of heart and joy to any stage, AND to your special event! brings exotic fun & excitement for your party or event. Guests may touch, hold and experience Mesmera's gentle, non-aggressive, well cared-for serpents. Great for photos & fun! 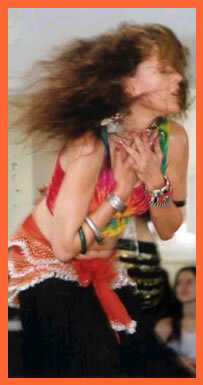 Enjoy GypsyBellyDance Celebrations with LIVE or RECORDED music, featuring exciting solo performers plus group choreography to suit your special entertainment and event needs. Perfect for family and community fun with rich colorful costuming and charismatic dance presentation that can be customized to include the audience or guest of honor. and include your guests too! Unique celebrations for women's special events. featuring live drumming or recorded music to set the mood. available for use or purchase as souvenirs! Event with a Drum Circle! Click HERE to read the Los Angeles Times article by Susan Carpenter on Los Angeles Drum Circles, including Mésmera's! Call (323) 669-0333 or use the form below to inquire about booking your special occasion with Mésmera! Private Home, Club, School, etc.